At Yorkshire Van Breakers we stock premium quality engines at competitive prices. We are so confident that our engines are of a very high standard that we offer a full 60 day money back warranty. 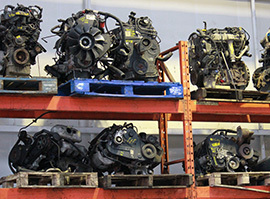 To find the engine you need, please browse our online store, Or if you can’t find it online, feel free to call us on: 01274 371122 or email us at yorkshirevan@googlemail.com as new stock is constantly arriving and our friendly team will be happy to help. All our engines come with FREE NEXT DAY DELIVERY but you are also able to collect the item at your convenience from our Bradford depot.